ANC MPL Maggie Govender recently visited the RK Khan Hospital as part of the Chatsworth ANC Constituency Office Outreach Programme. 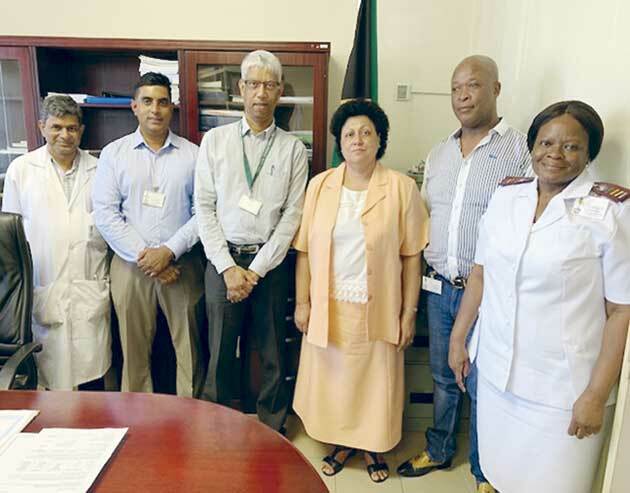 Govender met with the hospital management who briefed her on various matters affecting patients and the community.The invasion of the hospital by monkeys was discussed. “While we understand that monkeys have been displaced from their natural environment due to housing and other developments, as the ANC, we are concerned about the effects of the monkey invasion on the health and safety of patients at the hospital,” said MPL Govender. The hospital management outlined the various measures that are being taken to ensure that the health and safety of patients is safeguarded. “It was reported that the cooking and storage facilities had been secured so that monkeys were prevented from gaining access to them. This is a welcomeed move as we do not want contaminated food served to patients,” Govender said. She said that furthermore, the National Health Minister Dr Aaron Motsoaledi has undertaken to provide funds to install security bars at the hospital windows and doors to prevent the monkeys from entering the hospital. “Awareness posters are being placed throughout the hospital to educate patients and visitors alike about measures intended to deter monkeys from entering the hospital. These include keeping locker and bin doors shut as well as keeping entrance and exit doors and gates shut,”said Govender. Govender commended the staff and management of the RK Khan Hospital for addressing these issues of concern.